Most people think climate change has to be solved only by national governments and the United Nations. But over the past 25 years, as national governments have struggled and often failed to address climate change adequately, it has been so-called sub-national leaders who have moved fastest to pilot ways forward. Local, regional, and corporate decision makers have often been able to move faster and more ambitiously than national governments; never more so than during the past three years since Paris. Today there are thousands of these leaders showing the way forward, sharing lessons, developing expertise, and building broader confidence that this work can be done and that it brings benefits. Recognizing this and hoping to accelerate implementation of the Paris Climate Accord, California — one of the globe’s most important sub-national leaders — decided to host a confab for other sub-national leaders in September 2018. 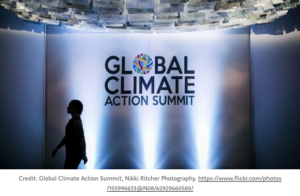 The Global Climate Action Summit (GCAS) in San Francisco was the first global climate meeting blessed by the United Nations for leaders who aren’t presidents and prime ministers. Instead, it targeted mayors, governors, CEOs, and investors. These leaders have consistently been the source of the boldest and most innovative work on climate: encouraging, nudging, and even guilting national leaders and multilateral negotiators into accelerating commitments to action. 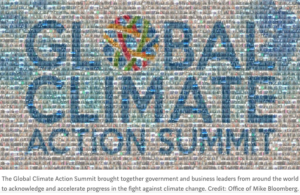 By design, GCAS became a magnet for sub-national leaders to make exciting announcements and commitments. In a series of posts, I have attempted to catalogue the announcements and commitments made around GCAS. In the 2nd post, I look at the major players making these commitments. In the 3rd post, I describe where the commitments are happening on the sub-national landscape through a sectoral lens. Below, in the 4th post, I consider how current progress can accelerate future work to put the Paris Climate Accord into full effect for 2020 and beyond. In the post-Paris world, filled with bottom-up and largely voluntary commitment making, we need to find a better way of reporting on everything that is happening. Because there is no compliance requirement, reporting is voluntary and spotty, which makes it difficult to track. It is difficult — impossible, maybe — to piece together the full GCAS story. But even the inadequate accounting in the posts to follow reveals a surprising breadth and depth of climate actions being planned and implemented. The amount of ambitious activity underway at the sub-national level around the world is astonishing, and it is so much more vibrant, enthusiastic, and entrepreneurial than what we see happening at the national and international level. President Trump, ironically, may have helped boost this beehive of sub-national urgency with his misguided decision to pull out of the Paris Climate Accords. Sub-national action has been a constant through the two and a half decades that the world has been seriously grappling with climate change, but after 25 years of incremental experimentation since the 1992 Rio Summit, there has been a sudden upturn of action and ambition. 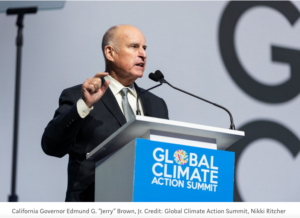 For those who witnessed GCAS and its reverberations across cities, states, and companies, this surge of action and seriousness was readily apparent. What is especially heartening is the degree of ambition of the policy moves. They have gone beyond incremental and finally reached a level that is commensurate with what scientists say is necessary. Zero-carbon buildings, 100 percent clean transportation, 100 percent renewable electricity, zero waste: This family of commitments made by sub-national leaders, as spelled out in prior sections of this series, are what is needed at all levels of government, including the national level. By contrast, cities, states, and companies can often move more boldly on climate change solutions that promise a radical non-carbon approach. Strong executives at the sub-national level with more circumscribed jurisdictions and constituencies can more easily sell an approach that is visionary, overcomes fear, and gets the job done with the necessary speed. The breadth of action now documented and systematized in how-to manuals and playbooks like the RMI city (Note 1) and state (Note 2) handbooks and the C40-McKinsey Focused Acceleration report (Note 3) represents a remarkable step up by sustainability directors embedded in governments and companies around the globe. There is so much happening that it is more and more difficult to keep track. The crescendo of commitments and announcements in and around California during August-November of 2018 is overwhelming. 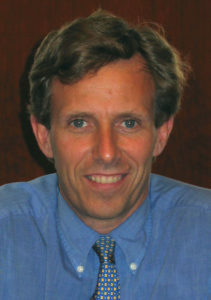 To evaluate the intensity of commitment and action, The Climate Group and the Carbon Disclosure Project (Note 4) tracked nearly 200 cities, states, and companies, who had made high ambition commitments (80 percent carbon emission reductions or better by 2050) just before the Paris COP in December of 2015. At the time, this was a very exciting ratcheting up of ambition by sub-nationals; there had only been a few handfuls of such high ambition commitments three years before in 2012. Today, three years after Paris, there are nearly 1,000 high ambition city, state, and company commitments. About half are from business and half are from cities and states around the world. As “advanced class” sub-nationals move to adoption and implementation, others are more likely to follow. Sub-national leaders can also inspire national level policymakers and multilateral negotiators to accelerate their commitments with real world examples of effective action. The massive uptick in sub-national high ambition targets is important leverage to getting those national level commitments. Sub-nationals offer examples and proof that it can be done, and they show the way forward with empirical experience and tested policy models. They also help show that these steps can be attractive and economically beneficial. Job generation, economic growth, quality of life, and health outcomes all improve with these transformative changes. For most of us, this new world is not one to fear; it is one to aspire to. That is becoming evident as more and more jurisdictions and companies move forward with successful transformation. Anyone who has read the recent IPCC report is worried. As a result, more employees and citizens are insisting on action, and leaders are getting into the fray. The U.S. National Assessment released on November 23 paints a similarly stark picture of the economic damage that will result if we don’t ratchet up climate action quickly.